The Green Bay Packers fired head coach Mike McCarthy on Sunday following a historically embarrassing loss at home to the Arizona Cardinals. 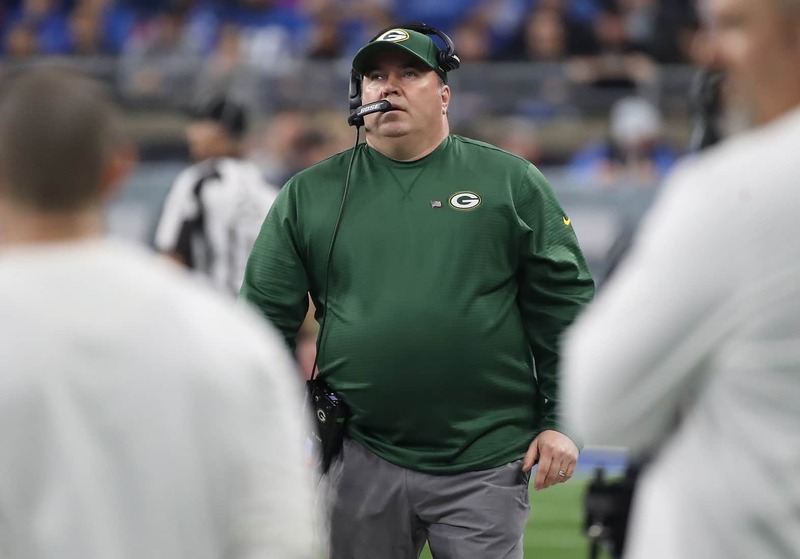 While the move has been decried by some, given the fact that Green Bay is still not mathematically eliminated from playoff contention and that McCarthy is a Super Bowl-winning head coach, it’s one that many did agree with. On Monday, Packers president Mark Murphy opened up about his decision-making process. Murphy noted that the Eagles have won a Super Bowl with Doug Pederson, while at the same time the Kansas City Chiefs have done big things with Andy Reid, who was fired in Philly after a long tenure. However, he also noted he would have preferred to wait until the end of the season but felt his hand was forced after Sunday’s loss. Murphy: Would have preferred to wait until end of season. Recalls team's turnaround in 2016. "The way the season unfolded, we were just never get to that win." Sunday's game clinched it. Clearly, the Packers had started tuning McCarthy out. Especially quarterback Aaron Rodgers, who had grown increasingly tired of McCarthy’s play calling and in-game decisions. Murphy also made a point of noting the decision was not “about one player,” who would obviously be Rodgers. Packers president Mark Murphy: "This decision isn't about one player." Packers general manager Brian Gutekunst will be involved in the search for a new head coach, and interim Joe Philbin could be a candidate. Gutekunst will be actively involved in the search, Murphy says. As for Philbin, "He's been a part of some of our very best teams." Will give Murphy chance to see Philbin in action, hinting that he could be a candidate. This makes perfect sense. Gutekunst has made some huge moves since taking over as general manager, and now the next head coach will be tied directly to him. It’s a new era in Green Bay. For better or worse.